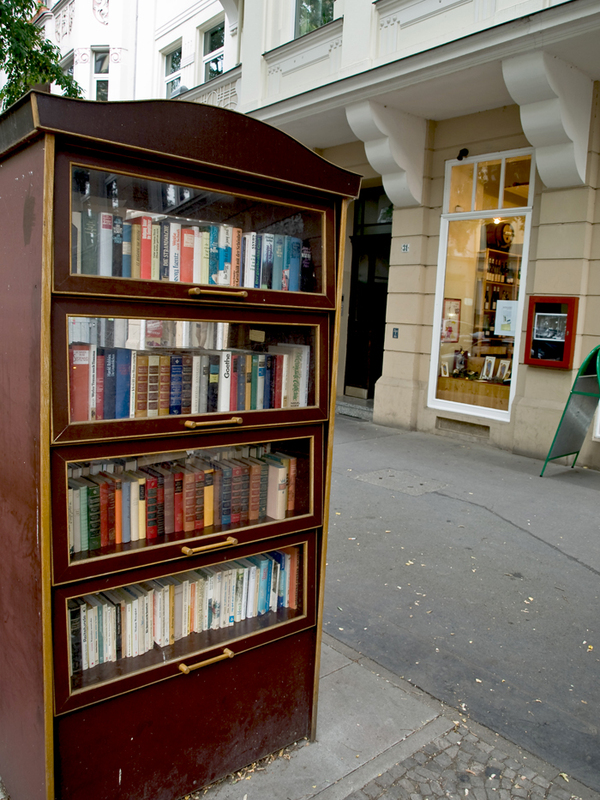 In German towns you will see bookshelves that are actually small libraries. They are called “Open Bookshelves” and people are free to take or leave books here at any time of the day or night. The concept was first trialled in Graz, Austria and are seen as a kind of ‘social sculpture’ with the variety of books representative of the people in the town who use the library. With one exception there has been no graffiti or destruction of books and a small anonymous group of guardians ensure that no objectionable books are left on the shelves and that the glass doors are cleaned.